Your heart-felt comments are incredible. I love hearing what God is doing in you through this study! Thank you so much for sharing your heart as we move toward the end of our sixth week. Though the topics we have covered in prayer have not been light or fluffy, I trust that God is doing a work in you and that you are walking in ever-increasing freedom and peace. Comparison issues can be ouchy, can’t they? If you grew up fearful and insecure, like I did, comparison was just part of the package. But as we become more aware of God’s love for us and the unique personality, gifts and abilities He has entrusted to us, comparison literally evaporates. This week as you continue to pray about any comparison issues, ask God to help you sense your unique giftings, personality, and talents. Ask Him to not only point out when you start to compare yourself in any situation, but to build your confidence in who He made you to be. Understanding who we are frees us from trying to be who we are not. God’s Word declares you are marvelous and wonderfully complex! What beautifully encouraging words from God’s heart to ours. Keep up the good work praying about comparison for the rest of this week, friends, and know I am praying with and for you! If you are reading this via email please CLICK HERE to leave a comment. 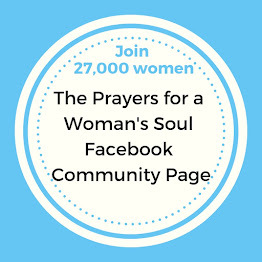 Or, you can visit the “Prayers for a Woman’s Soul” community FACEBOOK PAGE and join the conversation there. I pray God will give the ability to accept who he made me to be. I am one of his children and he is my father. Thank you. I've been lavishly praising God for a week now -- my Emmaus Walk was amazing! I did have a few issues with it, more because of anticipation than anything else. My prayer life has increased; my observation of God's goodness has increased; and I've noticed that my interaction with those around me has increased in a positive way since I've come home. Your study has done nothing but increase my awareness of myself as a beloved daughter of the Lord & I pray that all who are on this journey with me will find this also. I was terribly shy growing up. As an adult I overcame this to a certain degree, but now after this chapter I can see that I do need to stop my comparing myself to others. God created me to be just as I am & will mold me into the special person that He wants me to be if I just turn it all over to Him. PTL! As I continue to ready and study this devotion and the scripture God's precious word which is truth, the holy spirit is leading me in awareness of my faulty thinking. And isn't that what this whole wonderful study is all about. 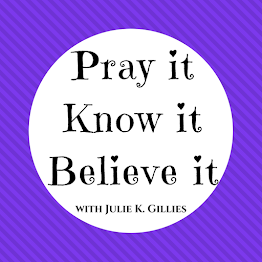 Praying not only for God's blessing on my life but more important to be transformed by the renewing of my mind, praying the scriptures and meditating on them. Freedom in Christ, I am looking at things differently, I notice that I don't fly off the handle, that I pray more often. Baby steps, but thankful that He loves me so much, He doesn't want me stuck where I have been stuck for so very long. I choose to believe what He says, I choose to draw close to Him, to give him my hurts, my attitudes, my everything. 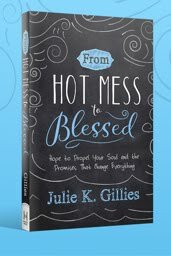 Julie - my prayer for you is that God will continue to provide you with wisdom, I am thankful for the gift of writing that He has given you and that He continues to use you to draw other women's hearts to Him. Julie, the verses in God's Word for me in this chapter were overwhelmingly just what I needed to hear today...not so much in that I compare myself to others, I am much too busy for that, but just in who I am in Jesus Christ....after a tough day yesterday. 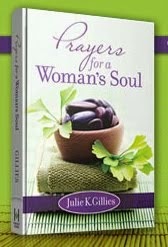 I believe in divine appointments and am extremely grateful that I was able to read these today in my quiet time. I also have given a copy of your book to my daughter and know that this will strengthen her as well! Thank you and God bless!